We have all wondered what it would be like to travel backwards or forwards in time, but what if someone has actually done so? Let’s take a look at 10 time travel events that could have possibly happened. This photograph was taken in 1941 of The Time Travelling Hipster, as he is often known. It was taken at the South Forks Bridge in Gold Bridge, British Columbia, Canada. However, you cannot deny that his clothing looks a lot different from those around him. 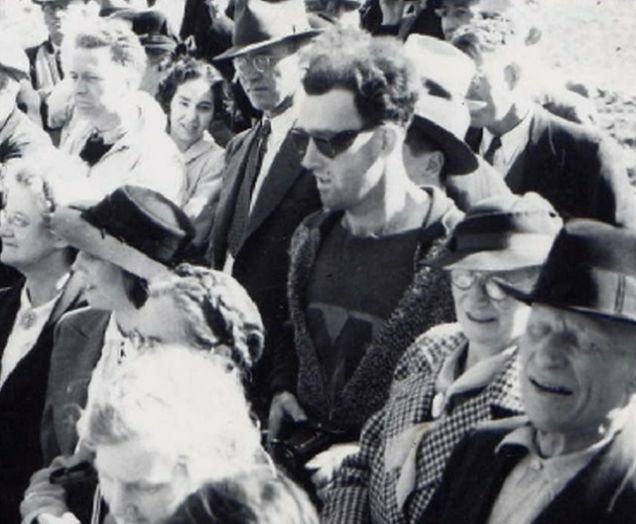 Look at those modern sunglasses and cool t-shirt – it has to be a time traveller, doesn’t it? Andrew Carlssin hit the headlines back in March 2003, as he made a stock investment of $800, only to make $350 million just two weeks later. Many people believed he was receiving inside information, and he was charged for the crime. However, he claimed he was a time traveller from the year 2256. 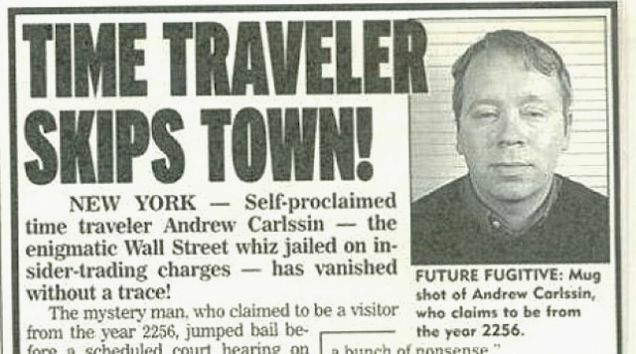 After skipping bail, he vanished without a trace and was never seen again. Take a look at the Charlie Chaplin film, The Circus, below. You’ll notice an elderly woman is walking down the street talking on what seemingly looks like a mobile phone. 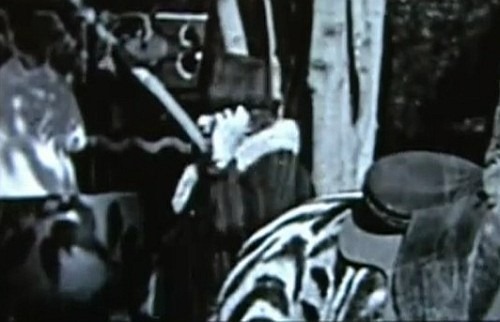 However, this movie was made in 1928 – and mobile phones definitely weren’t available back then. 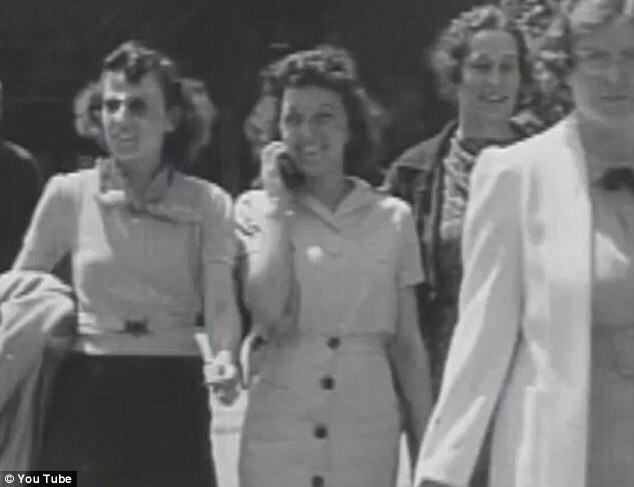 Here is another mobile phone occurrence in 1938. You’ll notice how a young factory worker is exiting her workplace holding what looks like a mobile phone. It was filmed in Massachusetts, USA, but no explanation has been given about the device in her hand. Very odd! Is it possible to slip into another time period? Well that is what Sir Robert Victor Goddard, an Air Marshal, claimed happened to him. He was sent to inspect a disused airfield near Edinburgh, in a little place called Drem, that he found was in a decrepit state. However, later that day, he ran into a spot of air trouble when flying his biplane during heavy rain. He therefore chose to fly back through Drem to wait for the storm to pass. However, he soon left the tempestuous rain and entered sunlight. When he looked down, he noticed that the once decrepit field had been transformed and was now in use. Mechanics in blue overalls were walking around the airfield, and he spotted four yellow planes on the runway – which he failed to recognise, despite his many years of aviation experience. 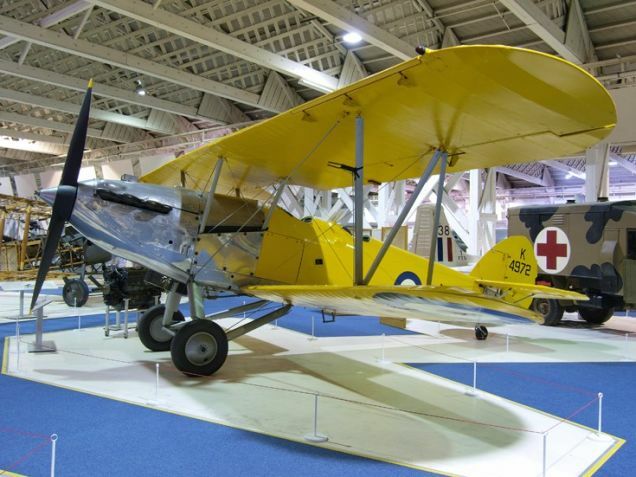 It was four years later that the RAF began painting their planes yellow. And guess what? The mechanics’ uniforms changed to blue. In mid-June, 1950, a man named Rudolph Fentz was hit by a taxi and fatally killed in New York’s Time Square. 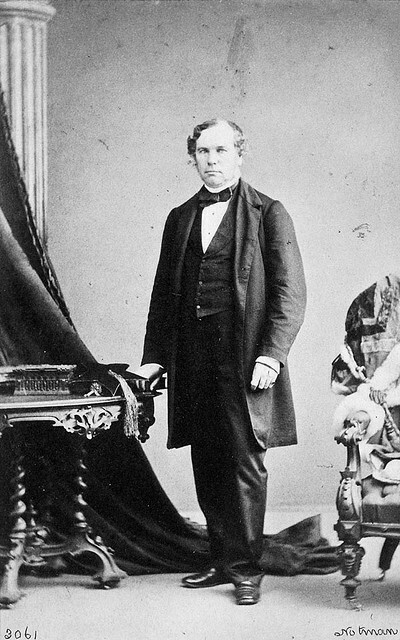 He was dressed in 1800s clothing, and had in his pockets: a copper token for a beer, a bill for the care of a horse and the washing of a carriage, $70, a letter from 1876 and business cards. All the items shown no signs of aging. An NYPD policemen, confused about the man’s attire and belongings, delved back into history, only to find that a man of 29 had disappeared in 1876. Was this Rudolph Fentz? 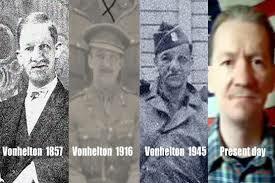 Not only might the man known only as VonHelton be a time traveller, but he could be a vampire. He claims he has a vampire-gene that keeps him immortal, and he has even offered side-by-side photographs of himself to prove he has actually travelled through time. The first image of him is in 1857 in England, followed by France in 1916, Berlin in 1945, and then the modern man today standing in front of the American flag. You have to admit, hoax or not, it does look a lot like him. Hakan Nordqvist claims he was simply fixing his leaky sink when he suddenly found himself crawling through a tunnel, only to meet his 70 year old self. 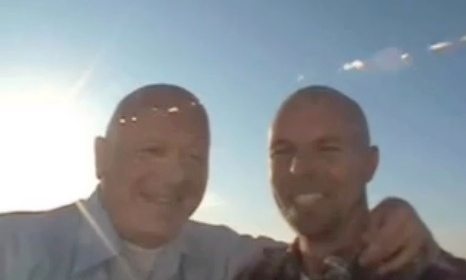 With his phone in hand, he was able to film the event, and the two men shown off their matching tattoos to the camera. 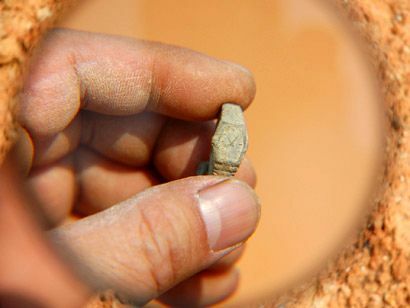 Chinese archaeologists were excited to open a 400 year old Si Qing tomb in 2008, only to find a small piece of metal inside, which was shaped like a watch. The tomb is believed to have been undisturbed, which left the archaeologists scratching their heads when they found the watch frozen at 10:06, with the word “Swiss” engraved on the back. Was the person inside a time traveller? 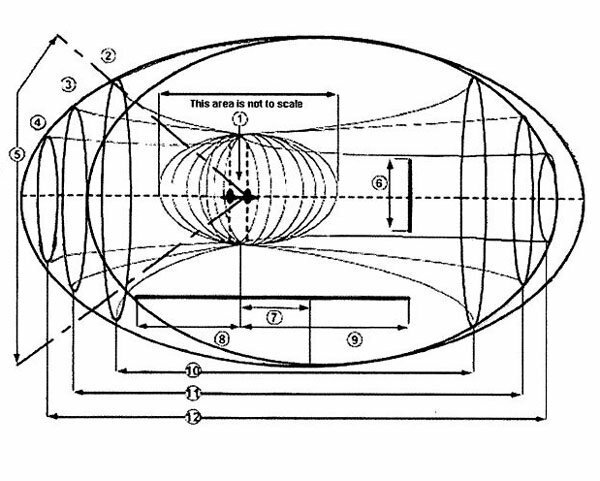 Many people argue that John Titor has offered the most compelling explanation for time travel. Claiming to be from the year 2036, John Titor supposedly travelled back in time to 2000 , and shared his time-travelling escapades on different online forums, answering many questions about time travel and why he had travelled back to the year 2000. He provided information and schematics about his time travel machine, which many people believe could actually create a time machine. However, he made many predictions that have yet to come true. He slipped off the forums in 2001 and was never heard from again. Is he out there or has he returned to his own time? Would you like to read more conspiracy theories? Challenge what you know and take a look at 10 Mind-blowing Conspiracy Theories. 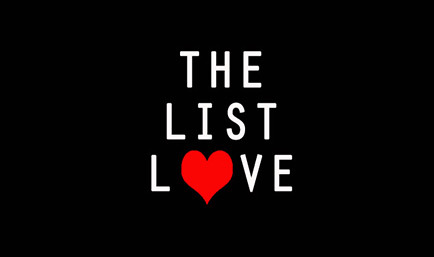 The List Love is the hub of high quality high quality facts that educate and entertain. We provide all the fun and facts you need to broaden your mind and smile! Our goal is to help you laugh and learn with our entertaining top 10 lists, and won’t rehash the same old things commonly found online. The List Love is the hub of high quality high quality facts that educate and entertain. We provide all the fun and facts you need to broaden your mind and smile! Our goal is to help you laugh and learn with our entertaining top 10 lists, and won’t rehash the same old things commonly found online.